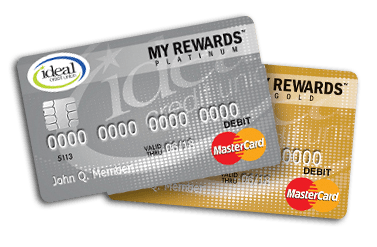 Sign up for the Ideal My Rewards™ Gold or Platinum Debit Card to enjoy all the exclusive benefits of the Ideal Debit Rewards Program. Consider it our "Thank You" for being a loyal member of Ideal Credit Union. It's easy! We'll give you points for simply using your My Rewards™ Gold or Platinum Debit Card to purchase merchandise or services. Then, redeem your points and receive great rewards. **MyRewards™ Platinum Debit Card only. Sign up today with promo code IDEAL90FREE to receive a free 90-day trial. Click get started below to create your new Ideal Debit Rewards account. *Fee applicable following advertised promotional period. Please visit www.idealdebitrewards.com/CardTerms for card program terms and conditions. Consumers must be at least 18 years of age, maintain a participating checking account at Ideal Credit Union, and be current in the payment of all Program fees assessed to participate in any My Rewards™ Card program. This message is an advertisement for products and services available from Ideal Credit Union © 2017 My Rewards, LLC. All rights reserved. Sign in to your existing Ideal Debit Rewards account to manage your card, redeem points and take advantage of exclusive benefits. 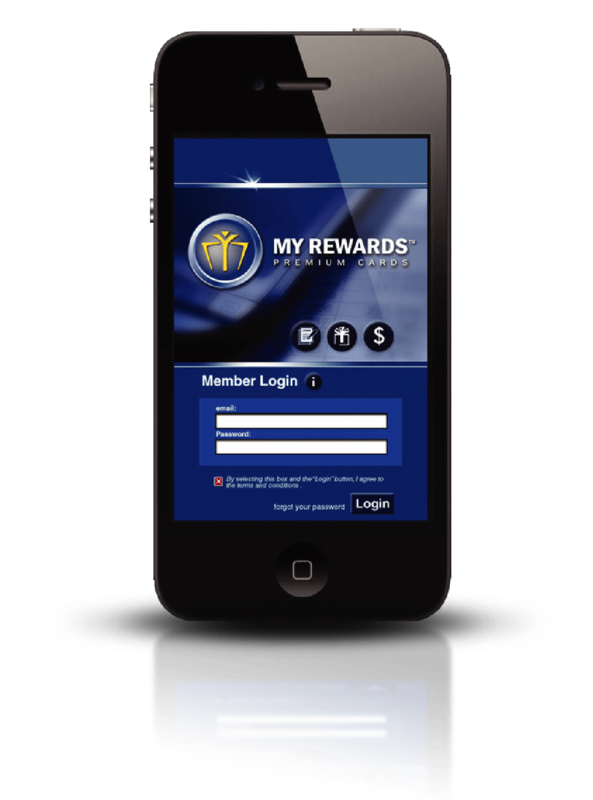 Access the benefits of the My Rewards™ Gold or Platinum Debit Card through your mobile phone with a direct link to your rewards account.